I've basted Cami's quilt and I'm now quilting. Because I'm just so sure I'm going to make a mistake. 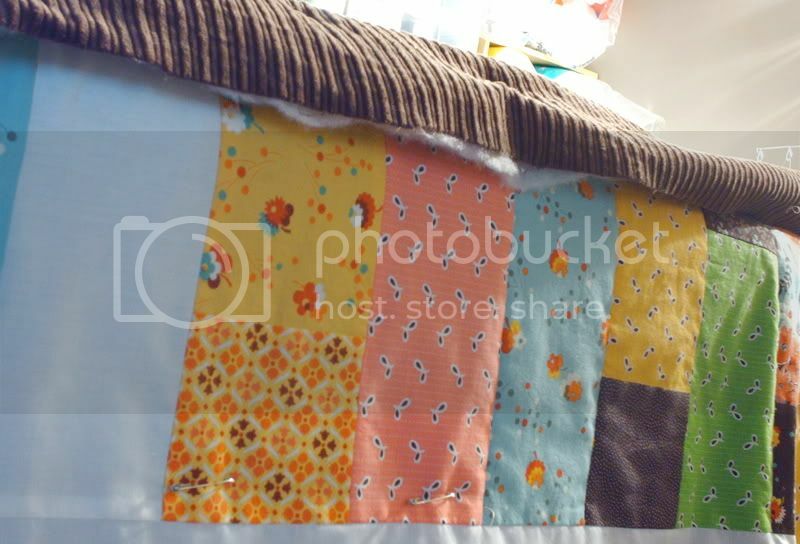 I highly recommend you NOT USE CORDUROY TO BACK A QUILT. It is striped (duh) and it's bugging my life that I can't line up the stripes perfectly with the quilting lines. But it's working (although I need to rip out a couple lines because I had light colored thread in my bobbin and that makes the fact the back is slightly off pretty noticeable). I like stitches to either be perfect or just off enough that it looks, well, cute. Hopefully I'm going with the latter on this one.